Astrology For Court Cases, How to Win court cases, What to do to get the favor of judgement in court by astrology ways, Ways to win suit, How to over come from complex judicial proceedings through power of astrology and tantra, What to do for litigation?, How to get the favor of legal authorities through astrology. Legal issues are becoming common in these days. Many times unfortunately some innocent persons also trapped in legal cases. In spite of doing many pooja, anusthaan, rituals it is sometimes not possible to come out of the litigation So the question is that why it is sometimes not possible to overcome from the judicial proceedings safely? why it is not possible to live a smooth life. Why I am trapped in legal case? I have done nothing. Why it is happened with my family? How to win the property case? What to do for protection from enemy attack? How to come out of cases soon? How to make the hearing in my favor? How to call the witnesses soon? Whom should i worship to win the case? Profit place or 2nd house of the birth chart is badly affected by malefic planets. 6th house is in impact of malefic planets. In some kundli there is a grahan yoga found due to which person is suffering from legal issues. Some times i found that Saturn is generating malefic effects ruining the person life. Weak planetary positions and powerless planets are another important reasons of indulging in court cases. Some special combinations in birth chart like as Mangal or mars and Ketu, Rahu and mangal or mars, Sun and rahu etc are sometimes generate very dangerous impact in human life. 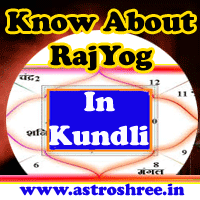 So to know the remedies it is very necessary to analyze the horoscope or kundli minutely. If birth chart is analysed properly then 100% result oriented remedies or solutions to overcome from the court cases are possible. Baglamukhi Pooja is a very powerful pooja which is done to dominate the enemies. Panchmukhi Hanuman pooja is also used to win the court cases. Mahakali saadhna also open the way to over come from judicial proceedings. Special Sarwarist Nivaran Prayoga is a very powerful prayoga done by me to provide solution of legal cases. There are special totkays which support the victims at the time of hearing. There are some special kawach like vashikaran kawach, hanuman kawach, narsingh kawach, which are useful to get the favour of legal authorities. Kaalbhairav pooja is also an important pooja for this. So don't worry if you are trapped in any court case, Don't worry if you or your any beloved is trapped in any legal proceedings, don't worry if you are not getting any solution of your problems. Consult now to get the powerful solutions of court cases. Contact now to get rid off from the legal problems in life.